Robin earned her undergraduate degree at Carleton College and her M.A. in English at Winona State University. A member of the International Society for Humor Studies since 1990, she is the chief designer of the Humor Quotient Test and the layout editor of the Humor Quotient Newsletter. She has authored over 20 articles, reports, and conference presentations on humor, with special emphasis on senior humor in American film, HQT humor analysis of comedic literary forms, and the use of humor in group negotiating. She has spoken to civic groups on negotiation styles for women and other humor-in-the-workplace topics. She has had extensive experience as a dissertation and thesis consultant. In her "other life," she has had major environmental interests as a governor-appointed member of the MN-WI Boundary Area Commission and its successor organization. Recently, her interest in senior humor of film comedy has been directed into research of the uses and preferences of humor in the nursing home setting and in the use of humor for healthy aging. Robin is the author of December Comedy: Studies in Senior Comedy and Other Essays (2011), co-author of Comedic Tenor, Comic Vehicle: Humor in American Film Comedy (2008), A Cheshire Smile: Humor Texture in Shakespeare’s Comedies (2014), and Four Seasons: Variations in Vitalism in American Film Comedy (work in progress), all published on this site. She is also co-author of In Search of Shakespearean Tragedy (Lap Publishing, 2016). She can be contacted at ragrawe@hbci.com. Paul's interest in theater began at Carleton College and reached out into comedy at Northwestern University, where he earned his M.A. (1966) and Ph.D. (1971) in English. His dissertation, Sombre Comedy, Comedy in a New Mood, puts forth a definition of comedy that covers the range from Greek New Comedy to present light as well as dark comedy. In 1983 in Comedy in Space, Time, and the Imagination (Nelson-Hall) he further developed the definition of comedy into Comedy Theoretical, Comedy Lucrative, Comedy Popular, Comedy Sombre, and Comedy in Ultimate Realty. 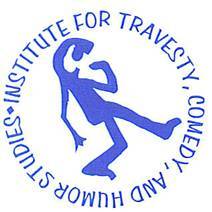 Since joining the International Society for Humor Studies (ISHS) in 1990, Paul has expanded his interest in comedy to include humor, bringing quantitative humor preference analysis to the study of literary criticism. He has designed numerous test instruments and has authored over 25 academic articles and conference presentations on humor. His recent focus on humor in the nursing home setting has generated extensive databases on humor preferences among nursing home staff and residents. As professor of English at Winona State University, he has taught Shakespeare's comedies, American film comedy, a television comedy course, a Jane Austen seminar, numerous courses in American literature. He is content editor of the Humor Quotient Newsletter, author of Comedy in a New Mood (2011), and co-author of Comedic Tenor, Comic Vehicle: Humor in American Film Comedy (2008), and A Cheshire Smile: Humor Texture in Shakespeare’s Comedies (2014) published on this site. He is co-author of In Search of Shakespearean Tragedy (Lap Publishing, 2016). He can be contacted at pgrawe@hbci.com.